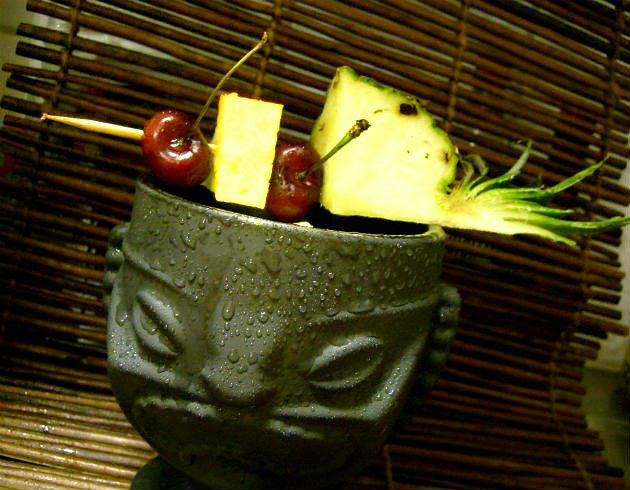 If you didn´t know february isn`t only the month of Mardi Gras festivities it´s also the Tiki month! so we will see a never ending parade of tiki drinks on some blogs…it´s Doug over at the Pegu blog who started the tradition with Tiki month – plus it´s tiki for Mixology Monday on feb 20th at said blog. So of course i follow suite…it doesn´t take much to get me start mixing up tiki libations – but to me it´s really tiki month all year:-) But to kick of this official tiki month – here´s two tiki drinks inspired by the Banda islands where the world’s only source of the spices nutmeg and mace was produced until the mid 19th century. I was looking for something to make with my nutmeg syrup which i made for my St George´s Rum Punch post when i was on Facebook in a discussion and Sven Kirsten mentioned the Banda Islands and from there i saw a connection to my nutmeg syrup and a good drink name. The Banda islands in Indonesia are seven volcanic tropical islands and they have an interesting history but sad though. The Bandanese had long used nutmeg as a currency, which they traded for food with people from other islands. But when they were colonized by first the Portugese and then the Dutch who wanted to have all the control of the nutmeg trade – then most of the Bandanese were killed in the raids and it ended with the Dutch having to import farmers from the Netherlands to take over the nutmeg farms. Today the beautiful Banda or Spice islands are quite unknown and their location is so isolated that they still do not appear on many present day maps. They are manly visited by sailors and smaller cruise ships. I`d like to see those islands…that´s a travel destination in my taste! 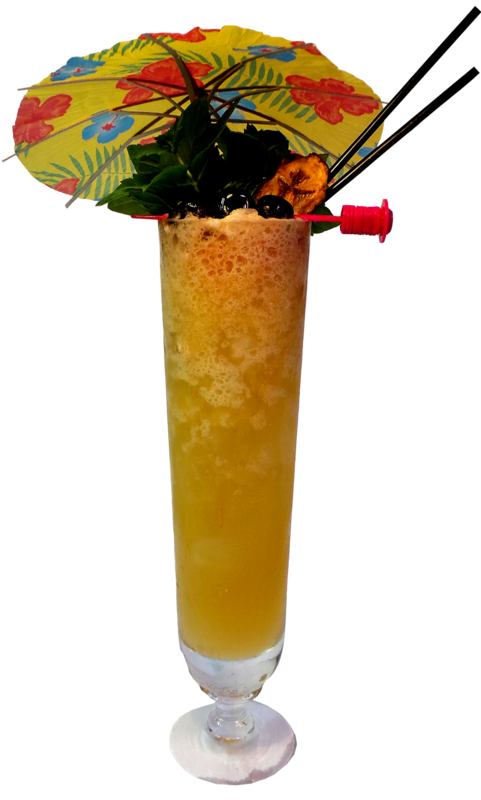 Anyway nutmeg syrup lead to the Banda islands and that ended up being two new tiki drinks – that`s how cocktail geeks roll.. 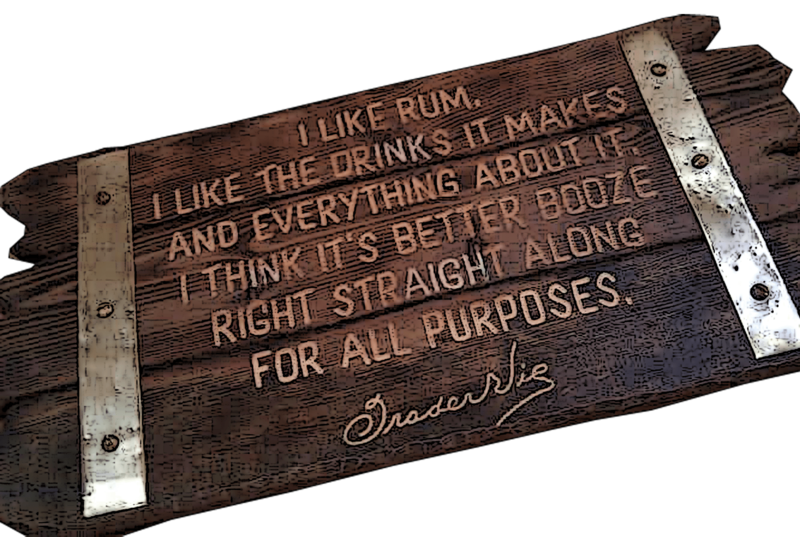 Shake with cracked ice and pour unstrained into a glass or tiki mug with extra ice if needed. 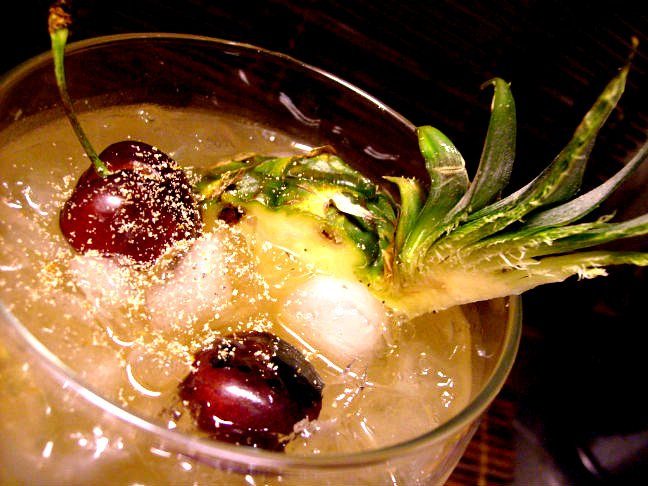 Top up with pineapple juice and garnish with a speared pineapple chunk with the leaves attached and drop 2 cherries in the glass and finish with a little grated nutmeg on top. 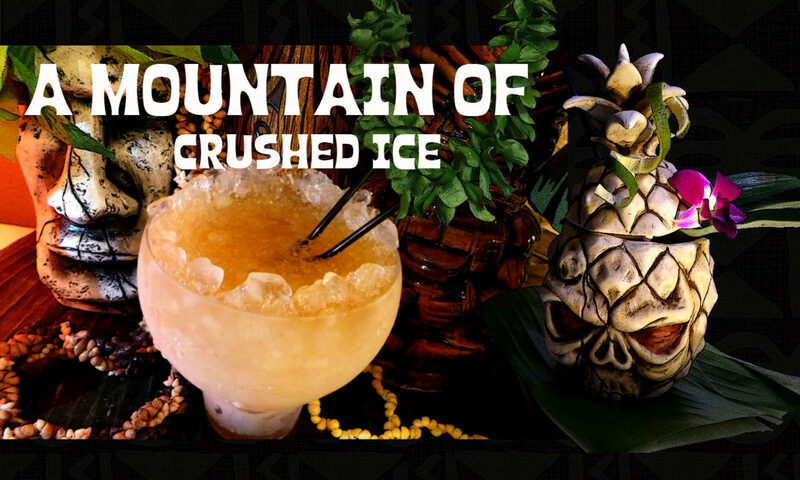 The next drink is named after the famous volcano on the Banda islands called Gunung Api or Fire Mountain. You can make a flaming version if you want and add a half lime shell filled with overproof rum on top and set alight. Cut those pods into quarters and place in a large pot and blanch them with boiling water to get rid of the small amount of acid that nutmeg contains. Pour out the water and add 2 cups fresh cold water and let sit overnight. Next day, boil (the same water) for 20 minutes and then leave to sit again for 24 hrs. I know…it´s a bit of a daunting task to make this syrup but once you get started it´s not that bad..
Now, bring it to a boil and when it starts boiling start adding the sugar, 2 cups to the water, so you get equal amounts of sugar to water and if you want a thicker syrup just add some more – and lightly boil until it reaches the consistency of maple syrup, don´t boil too hard. This makes about 2 cups of syrup, you may brake it down to a lesser amount. Run in blender at high speed 5 sek with 1 cup crushed ice. 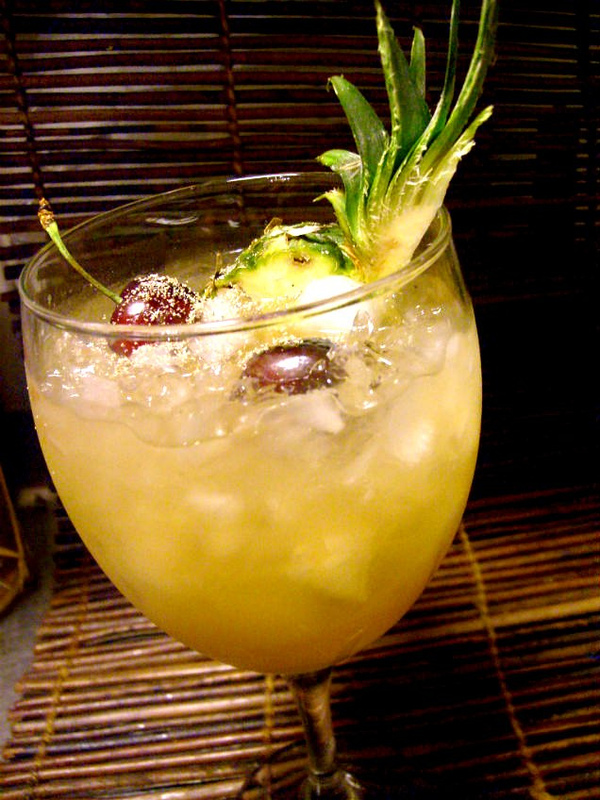 Pour in tiki mug or glass and garnish with pineapple and cheeries. And now the tiki month is kicked off – okole maluna! Here is an interview worth reading with Ed Hamilton about the Lemon Hart 151 rum over at the Pegu blog..contaning a video where Ed and Martin Cate compares the old version of LH151 with the new one. Anne, yes you can, it won´t be the same but you`ll still get a tasty drink! the nutmeg syrup imparts a subtle nutty flavor and “roundness” to the flavor. Maybe you can add 1/4 oz of a nut liqueur.. These drinks looks delicious, can i use simple syrup instead of making the nutmeg syrup?